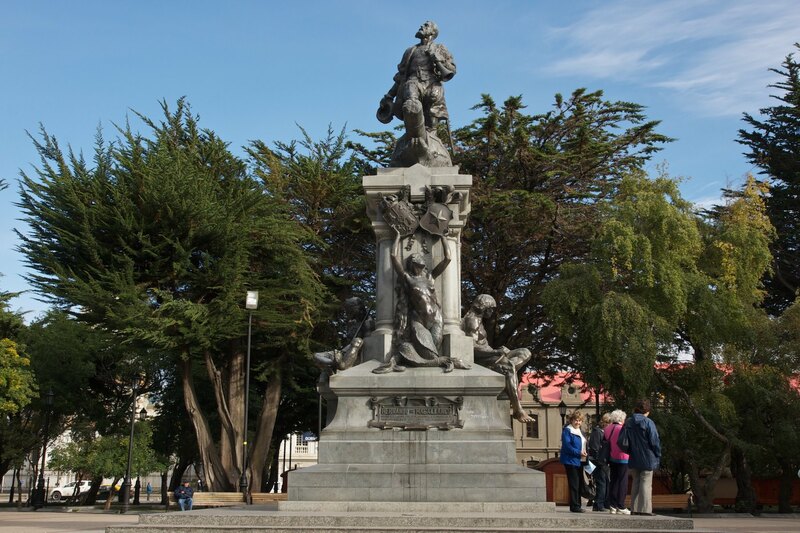 At some point in your visit to southern Patagonia you will probably pass through Punta Arenas. 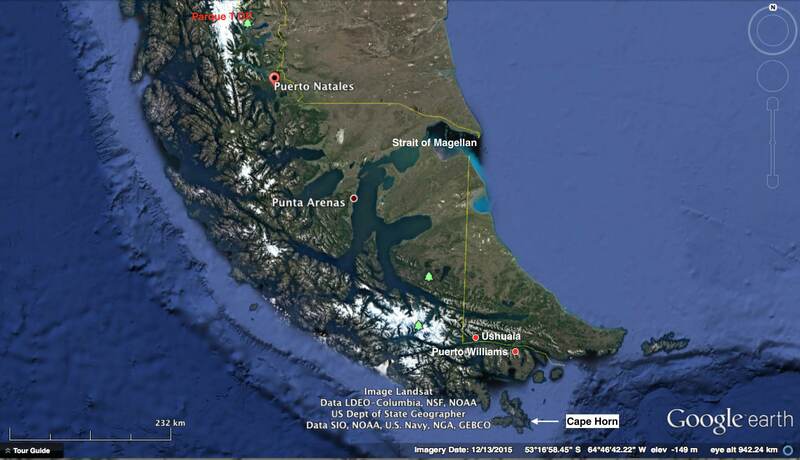 It is, as the satellite image below shows, on the north side of the Strait of Magellan and is the most southerly city on the South American mainland. 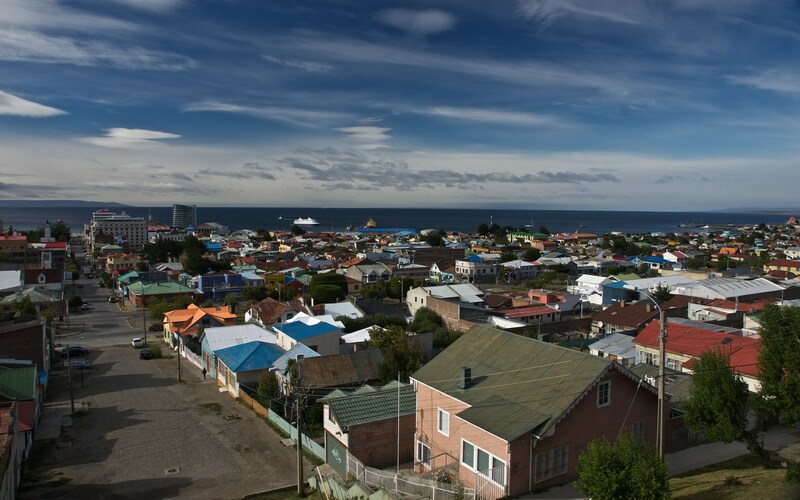 Across the strait lies the island of Tierra del Fuego and the Chilean town of Puerto Williams and, on the Argentinian side, Ushuaia. Perhaps, like me, it will be your point of entry and exit from a three-week hiking adventure in the nearby national parks. 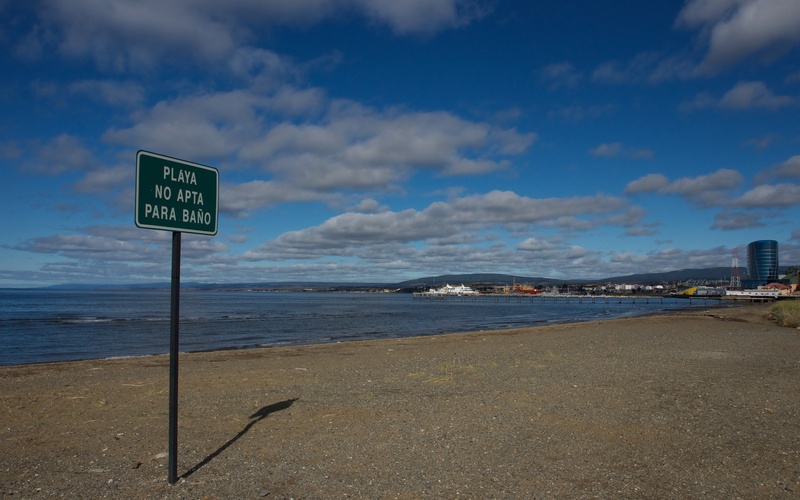 Or you may be passing through on your way north from Ushuaia or on your way south from Puerto Natales after having taken the long ferry ride from Puerto Montt. Whatever the case, the following pix and information should give you an idea of what to expect when you arrive and some useful suggestions on how to make the best use of your time there. 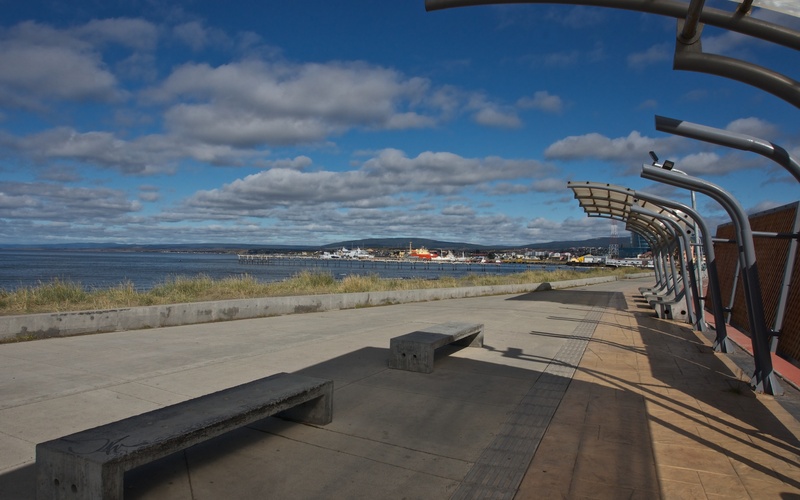 Punta Arenas – it means “Sandy Point” in English – is a city with a relatively long history for this part of the world. 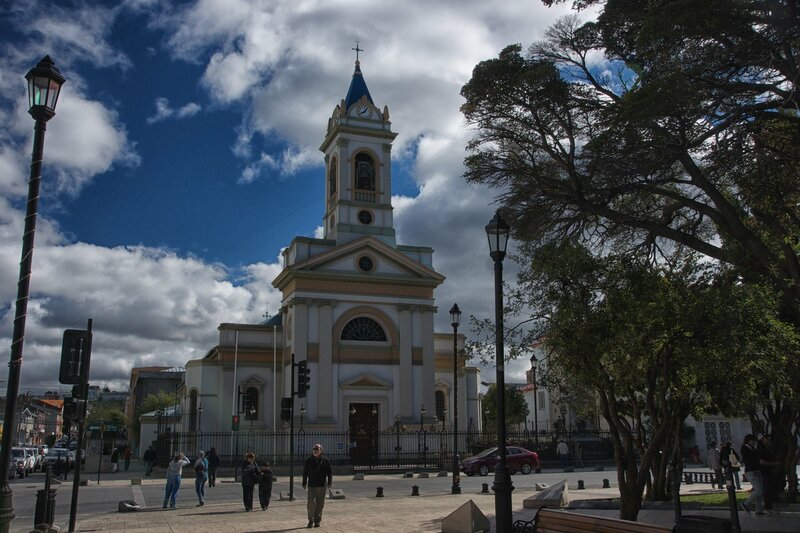 Established in 1848 as the site of a penal colony, the city grew thanks to its location on the Strait of Magellan at a time when the Panama Canal did not yet exist. 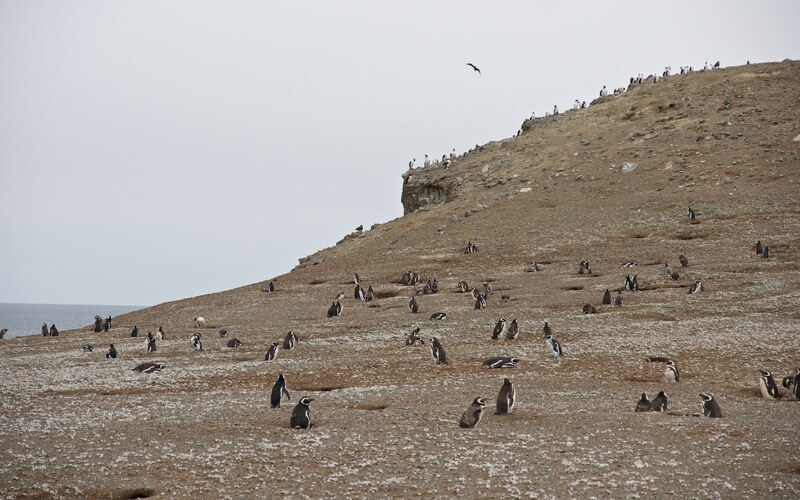 It became a major resupplying point for ships avoiding the much more dangerous journey around the south end of Tierra del Fuego at Cape Horn. 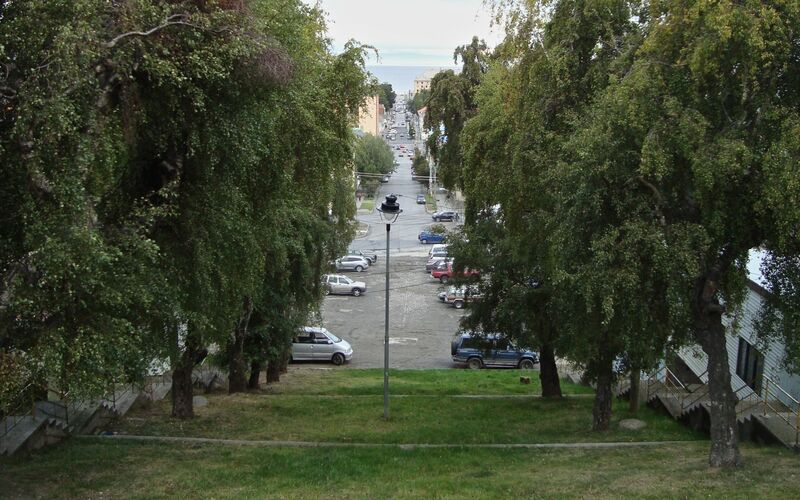 One of the first things I did was walk up to the lookout above Calle España – the Mirador Cerro (de) La Cruz. Looking south you see a sizeable city stretch out before you. 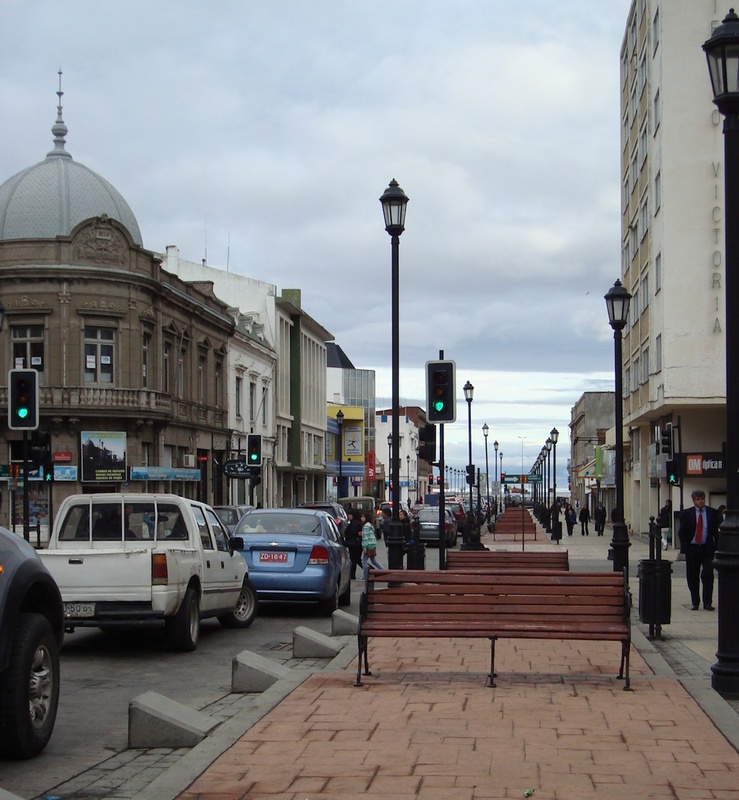 These days Punta Arenas has a population of about 120,000. 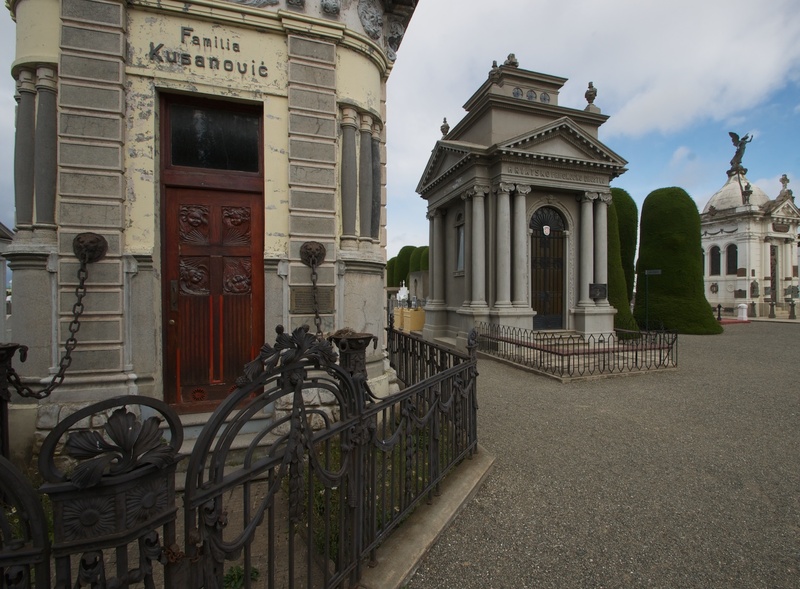 The city’s immigrant origins are revealed by the names of streets and in the Cemeterio Municipal by the names on the tombstones of people from a multitude of European nations – from Serbia to Croatia to Germany to Italy. 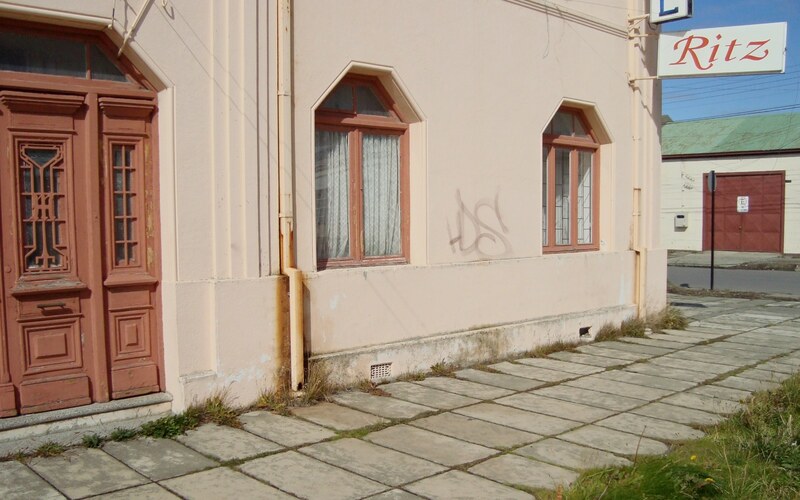 A wide range of accommodation is available in the city. 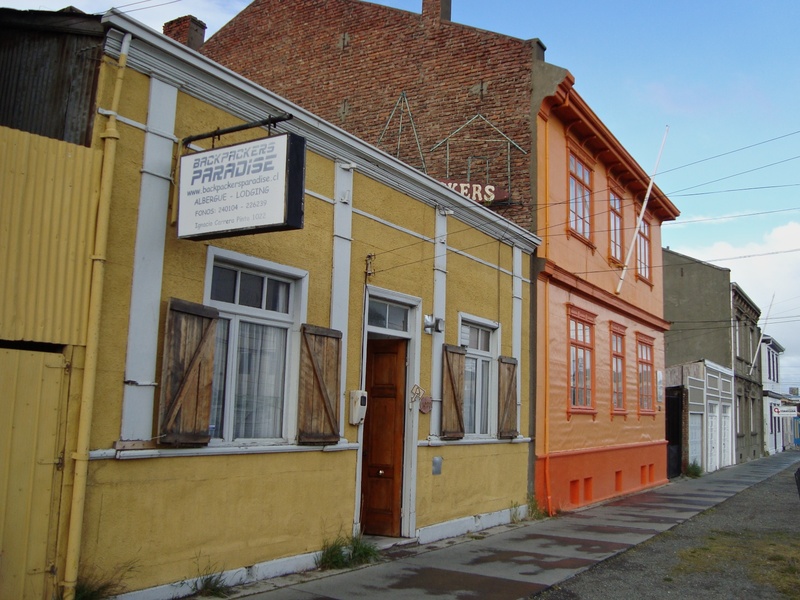 The place I ended up spending four nights was the Tragaluz, a bed and breakfast run by a very welcoming couple who bring together the tail ends of the Americas – Lorena is from Punta Arenas and Dan is an American from Fairbanks in Alaska! 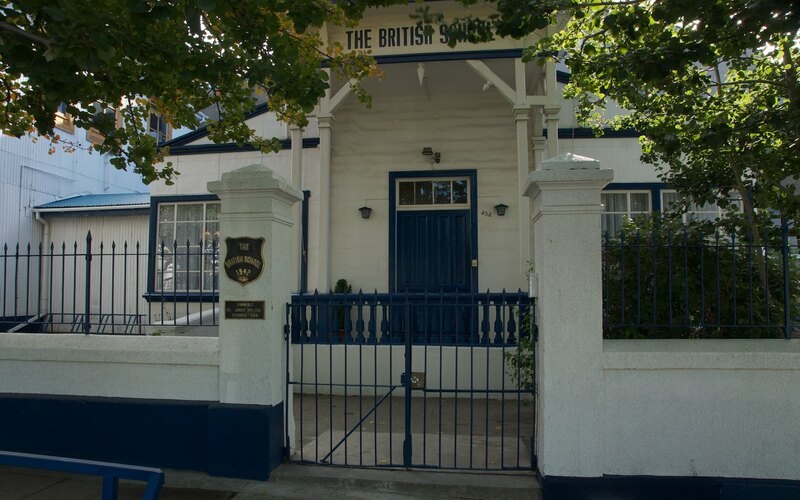 The classic tin exterior of their guesthouse is in evidence in the image below; what you find inside is a beautifully renovated and artsy interior with four or five guest rooms available. The fabulous breakfasts kept me going for hours afterward. 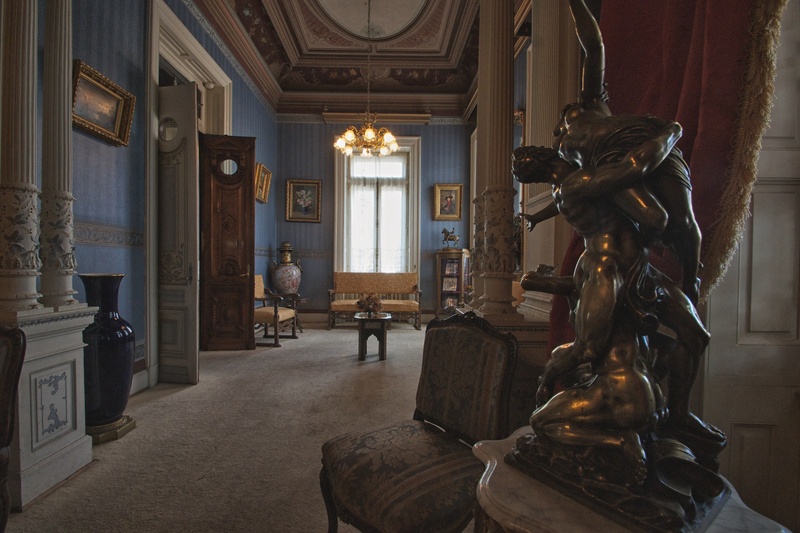 My hosts were very helpful in making my stay in their city an enjoyable one by pointing me in the right direction for things to do. 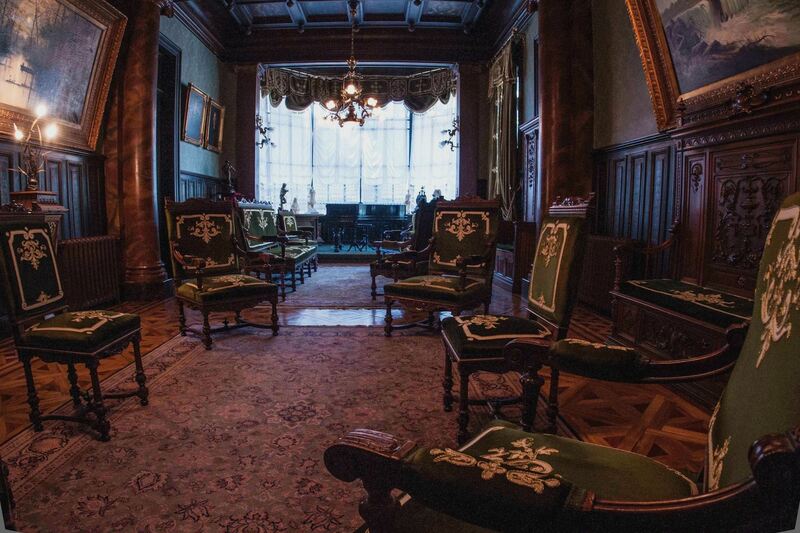 Click here to see what other travellers have to say about their Tragaluz experience. See the pix above. 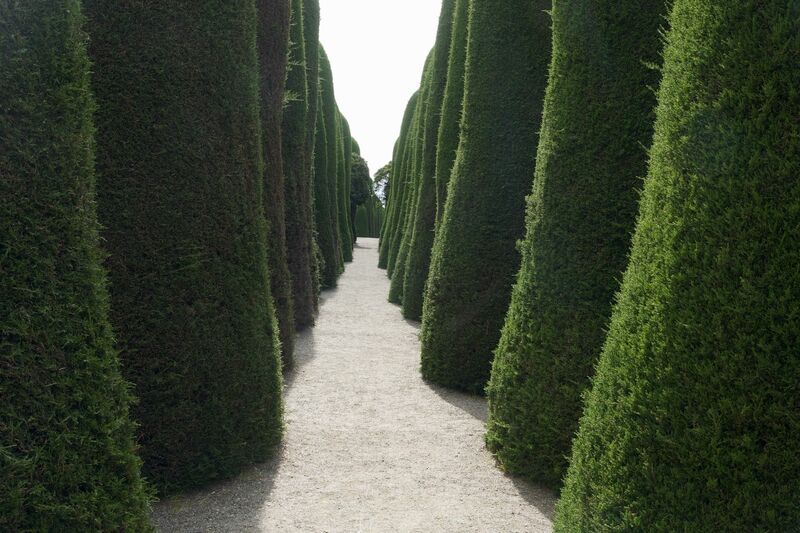 I actually went back a second time on a sunnier day because the view was so spectacular. 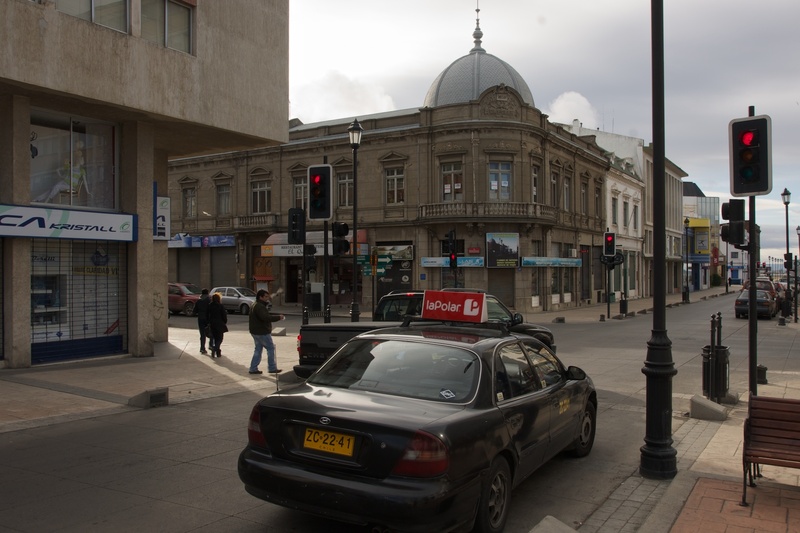 I now regret not having visited the nearby restaurant and coughing up the 20,000 Chilean pesos for a sign indicating the distance to Toronto, Canada. 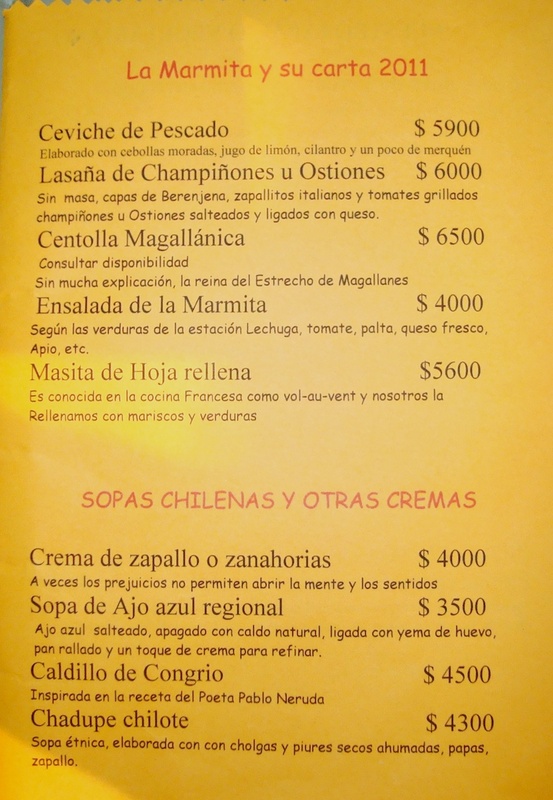 See the chart below to see how many pesos you got for $1. U.S. over the years. 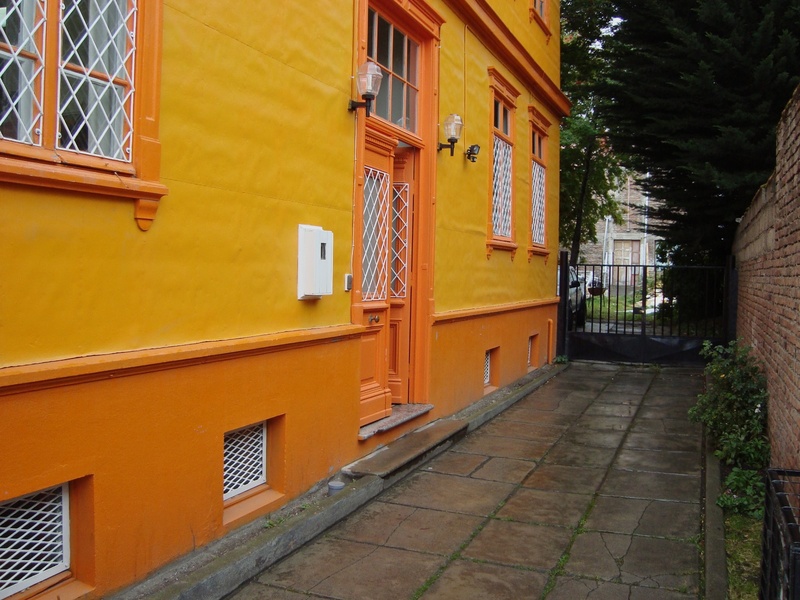 Walk along some of the side streets and you’ll be struck by the use of bright colours on house exteriors. there is always some interesting to frame in your camera viewfinder as you wander. And when you need a break or some sustenance, there are some decent restaurants to choose from. 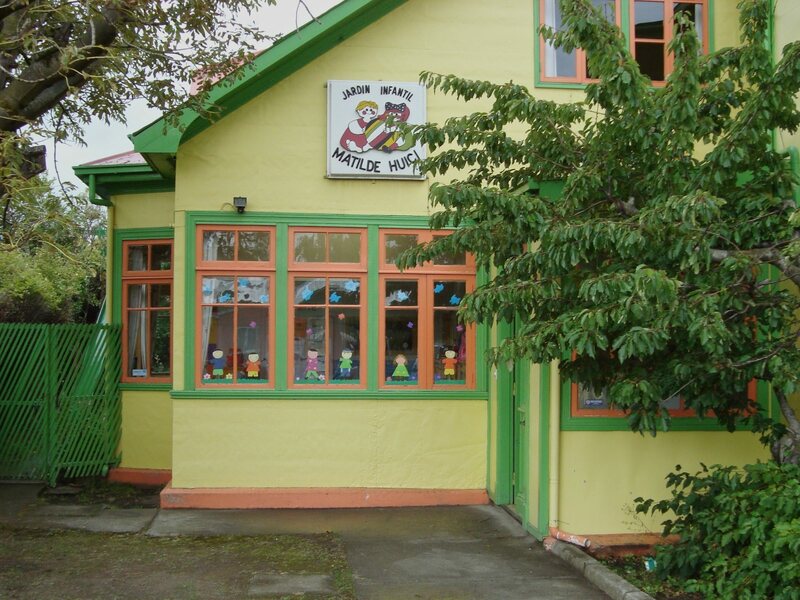 I’ll admit that as a vegetarian I was working with a shorter list than you may, but I was still able to find a number of spots that served good food. 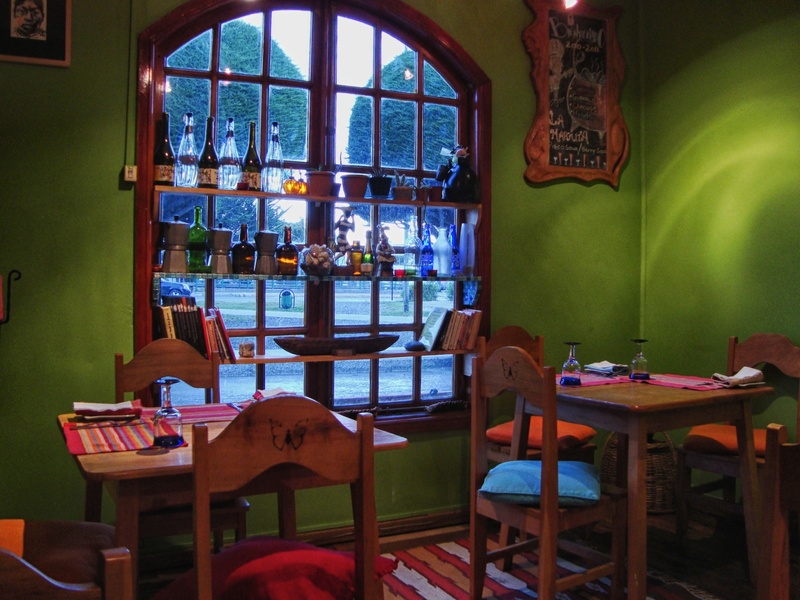 La Marmita – a veg-friendly restaurant in P.A. 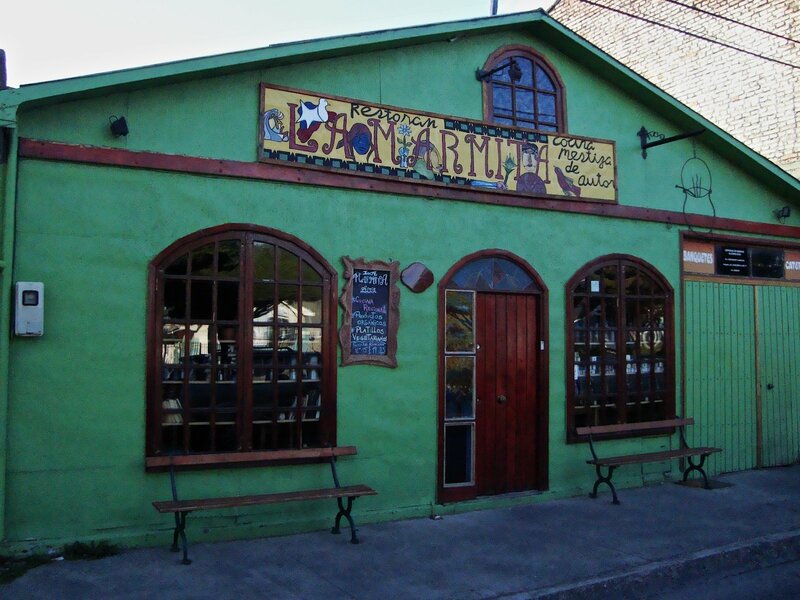 This cozy restaurant, though not exclusively a vegetarian one, had enough choices for me to visit it a couple of times during my stay in Punta Arenas. 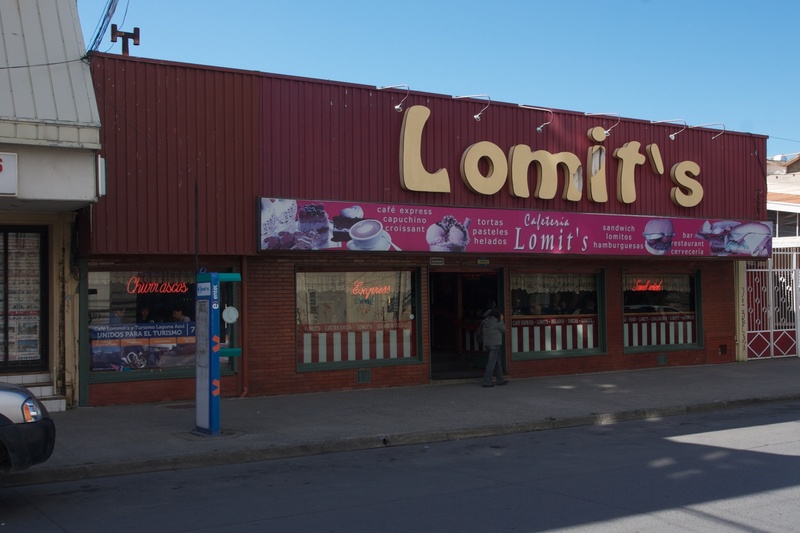 Another restaurant I visited a couple of times was Lomit’s, which came across like Punta’s version of a friendly neighbourhood restaurant. 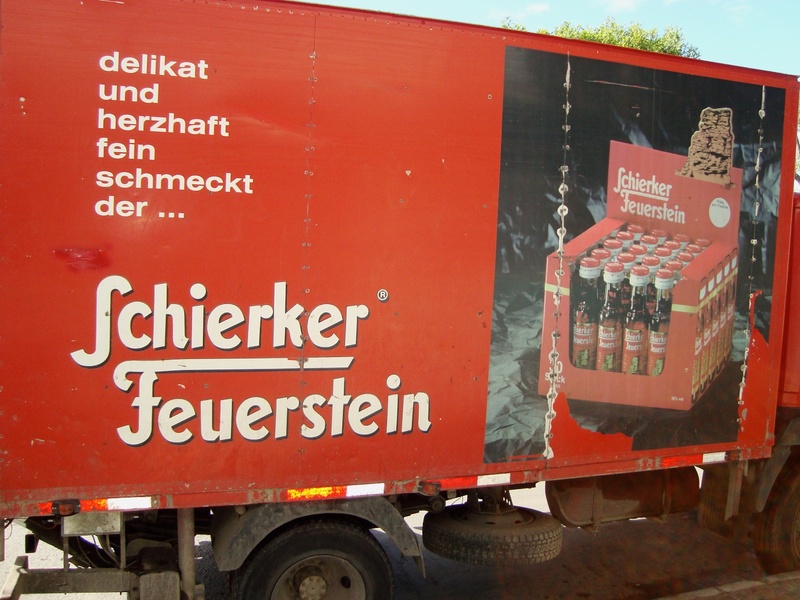 an unexpected chance to read some German in Punta Arenas! 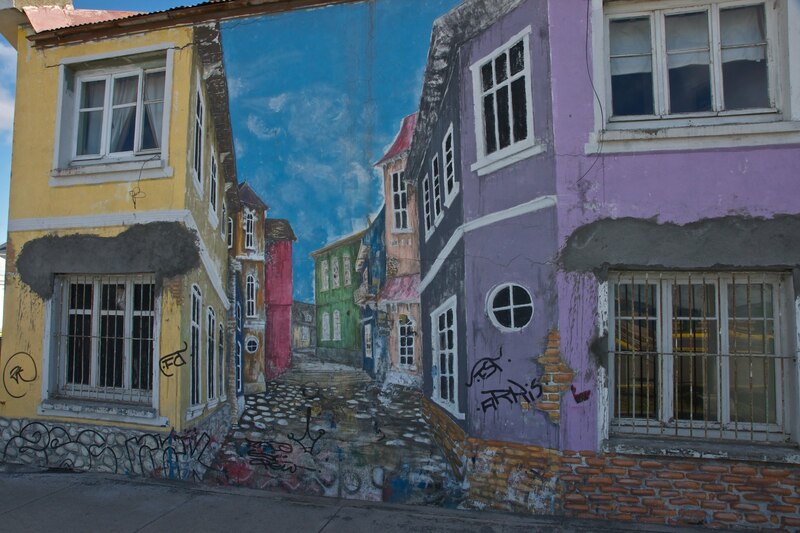 Punta Arenas trompe d’oeil – the full-disclosure shot! 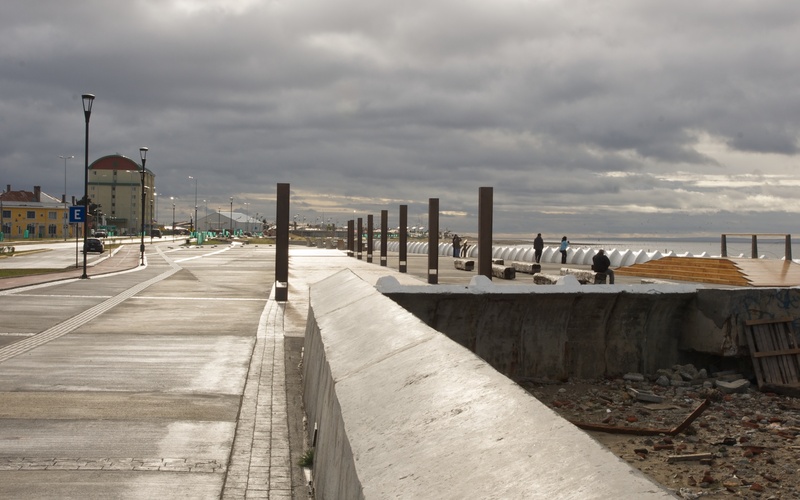 The city has been sprucing up its waterfront with what seemed like a relatively new addition, the promenade and bicycle path running all the way from one end of town to another. 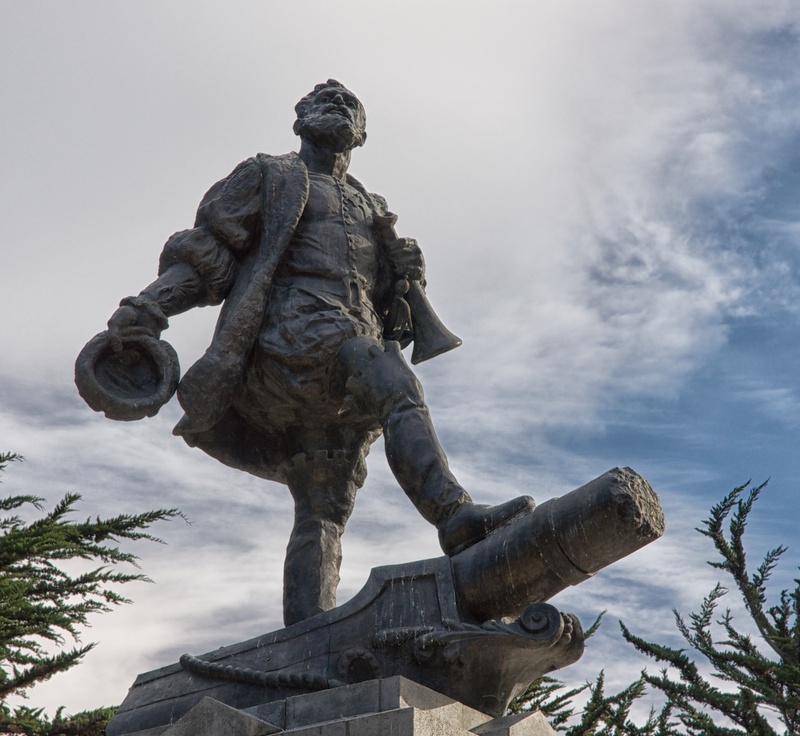 I walked its length and took in views of the Strait and distant Tierra del Fuego as I listened to the echoes of five centuries worth of explorers and plunderers and merchants and scientists like Charles Darwin pass by me in their various ships. At the south end of the promenade sits the Hotel Dreams ( with a Casino and a Spa and a convention center and a few restaurants!). It didn’t seem terribly busy when I passed by. 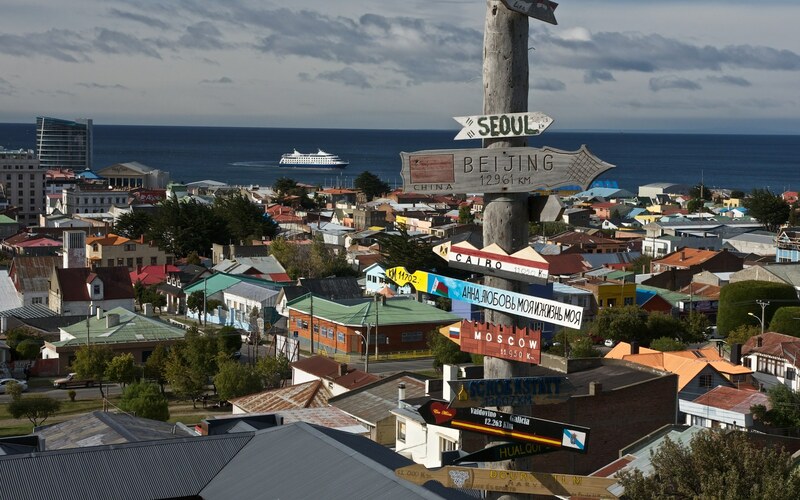 It struck me that Punta Arenas needs to be more aggressive about attracting some of that very lucrative cruise ship business that Ushuaia on the Argentinian side of Tierra del Fuego seems to own. 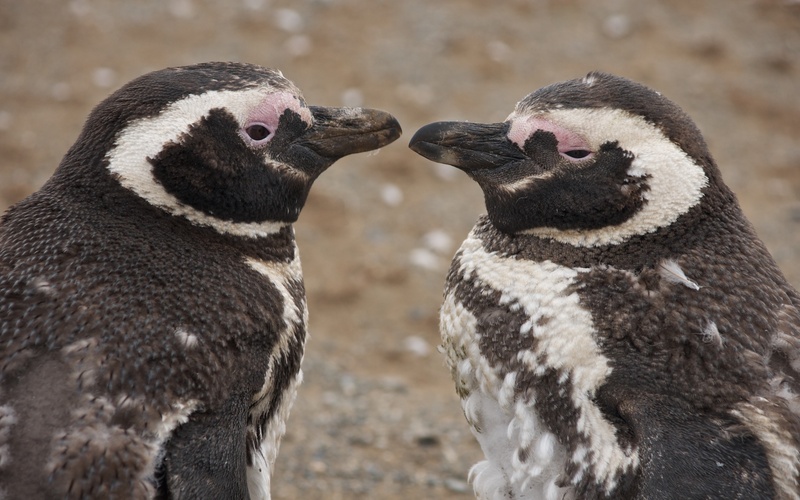 Definitely worth a half-day or more is a visit to one of the two Magellanic Penguin colonies not far from Punta Arenas. 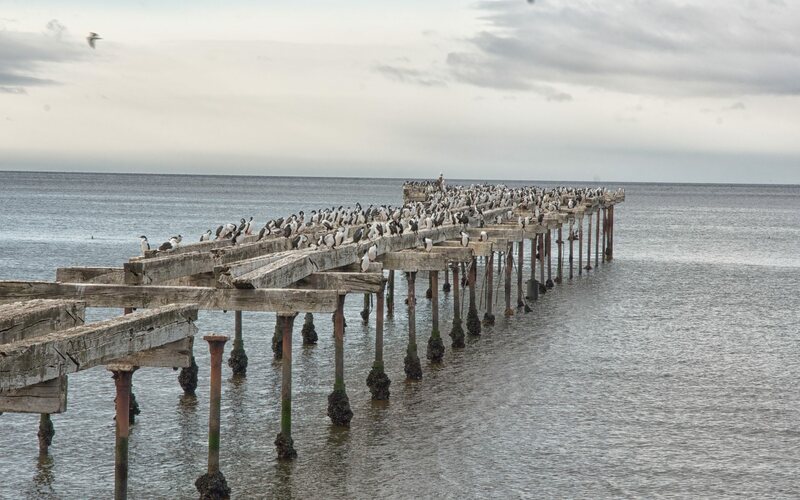 If seasickness is a problem, then a bus ride to the Otway colony to the northwest of the city may do the trick. 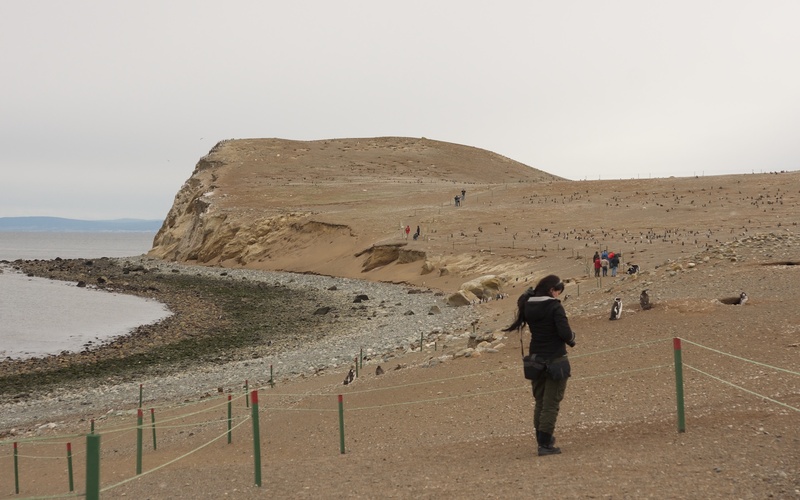 Much better though, because of the ten times greater number of penguins you will see, is the visit to Isla Magdalena. 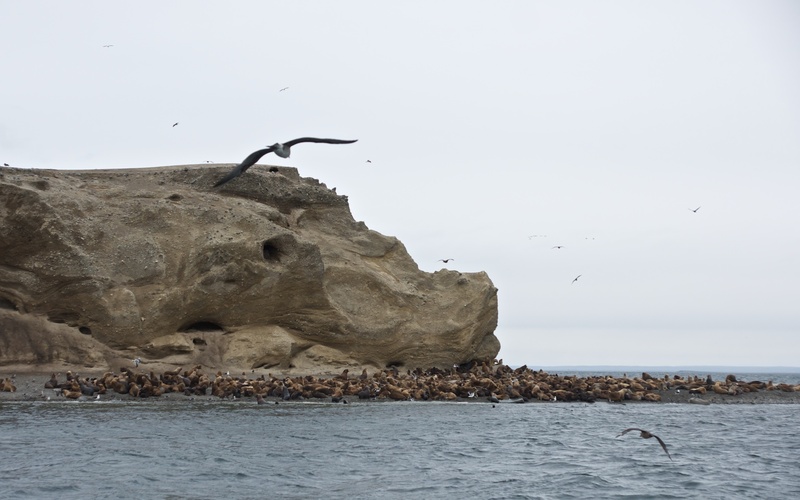 A bonus is a side visit to Isla Marta to see the colony of sea lions there. Take a peek below to see a few of the 100+ photos I just had to shot that day. A warning: this is definitely a situation where a DSLR with a fast telephoto lens will allow you to get shots that most people won’t get. My 16-80 mm just wasn’t long enough to get those National Geographic shots! 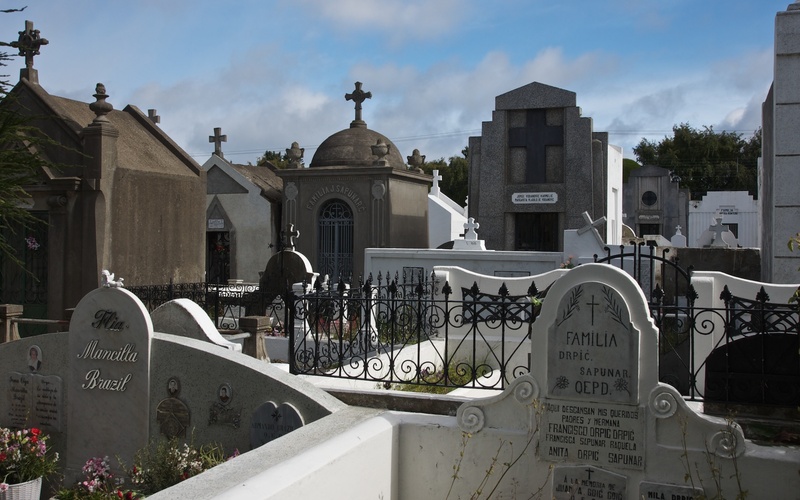 The municipal cemetery was a nice thirty-minute walk from the Tragaluz B&B and made for a worthwhile destination. 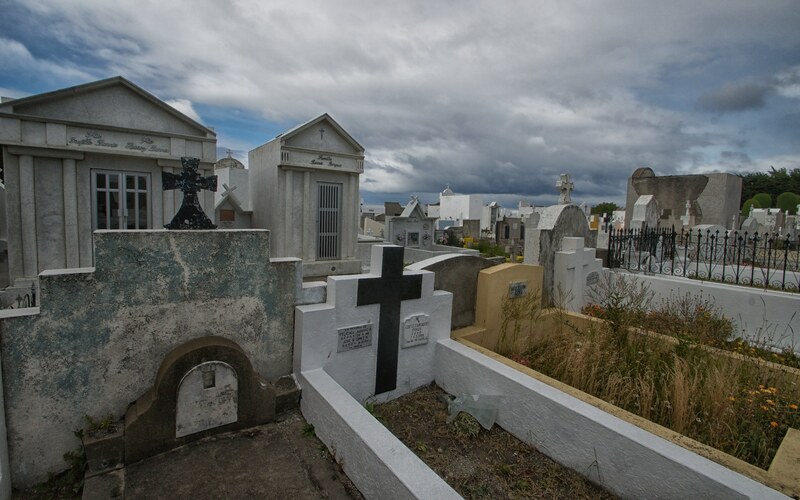 I spent over an hour wandering along the various paths, looking at the United Nations of names on the tombstones and marvelling at the grand mausoleums that some of Punta Arenas’ adopted sons and daughters could afford. 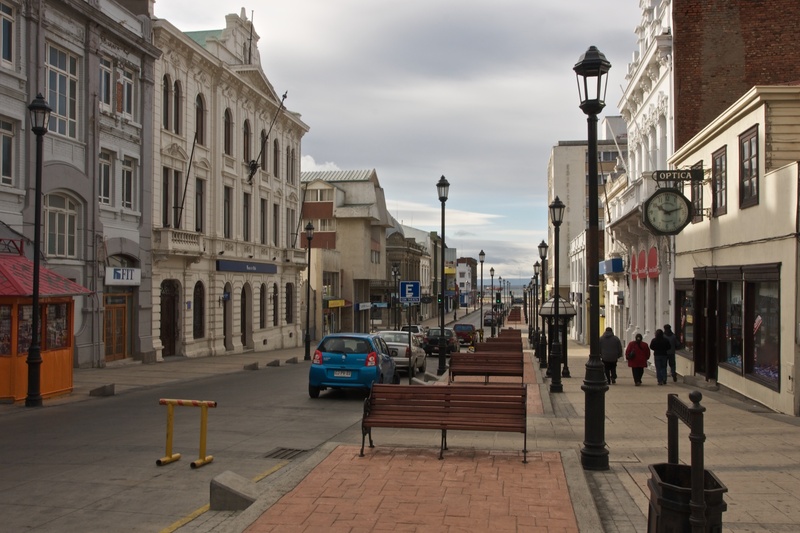 It turns out that not all the thousands of dogs wandering about the streets of Punta Arenas are stray dogs. Some actually had collars and tags and clearly belonged to someone who looked after them. Coming from a city where you would rarely see a dog without its owner, this took some getting used to. What I couldn’t get used to were the obviously stray dogs who were hurting and hobbling their way around the city in packs. 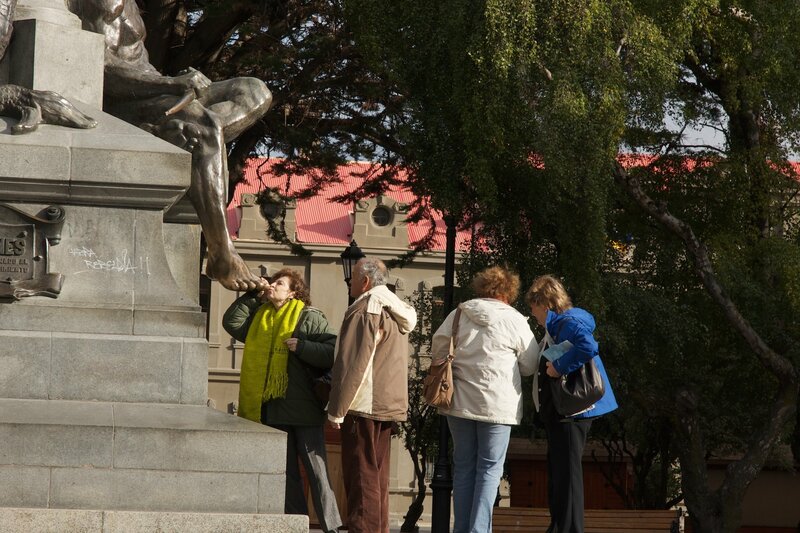 The locals seemed oblivious to their presence or their need for help. 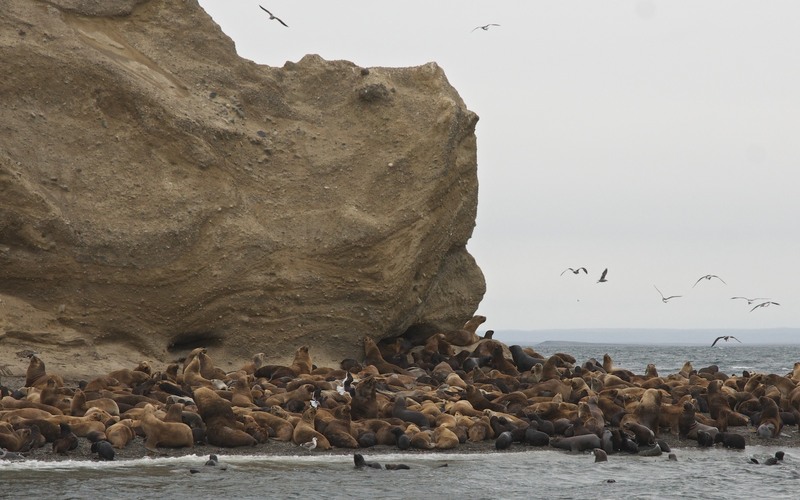 I should mention that I experienced this from the moment I left the airport on arriving in Punta Arenas; my next post will present a gallery of pix and videos of the dogs of southern Patagonia- from P.A. 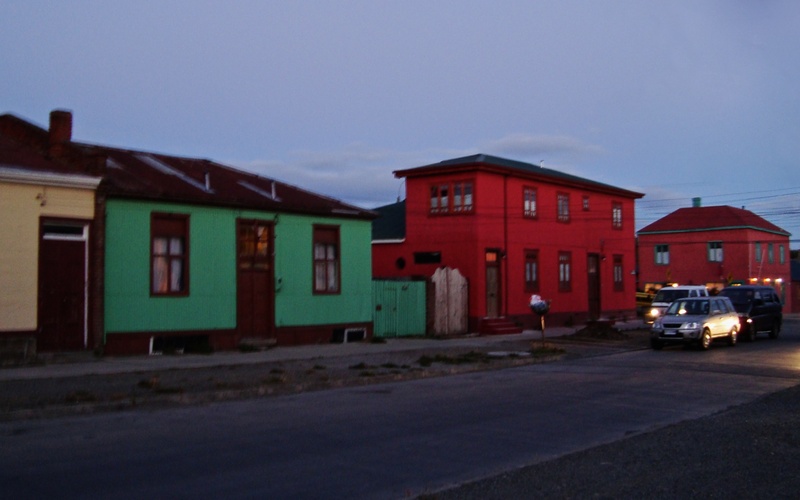 to Puerto Natales to El Chalten and El Calafate. Update: I never did gather those dog images together and put them in one mega-post. Partly it was because I did not want to flog my North American view of dogs as family members as it collided with a different reality in South America. 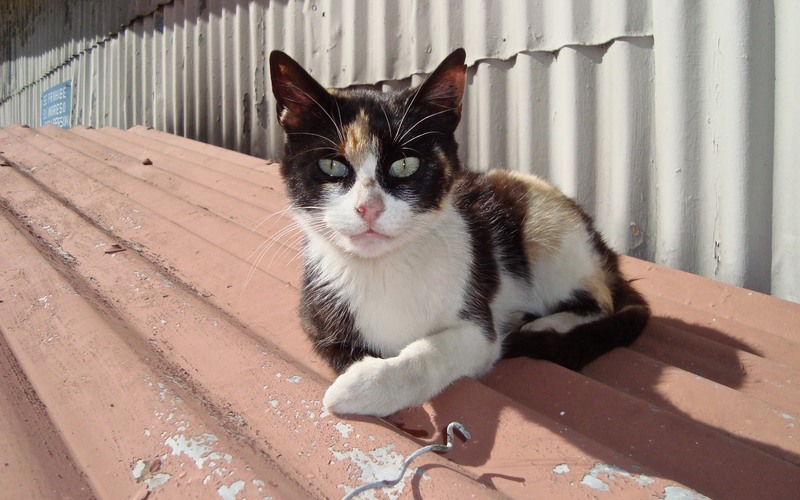 I also realized that getting all indigant about the dog situation down there was rather hypocritical while my own city of Toronto has hundreds of strays and homeless of its own wandering around downtown – and they are fellow humans! If fact, it is one negative thing visitors to my fine city notice. We may not be San Francisco but we have a problem. Time Is Up! Off to the Aeropuerto…buen viaje! 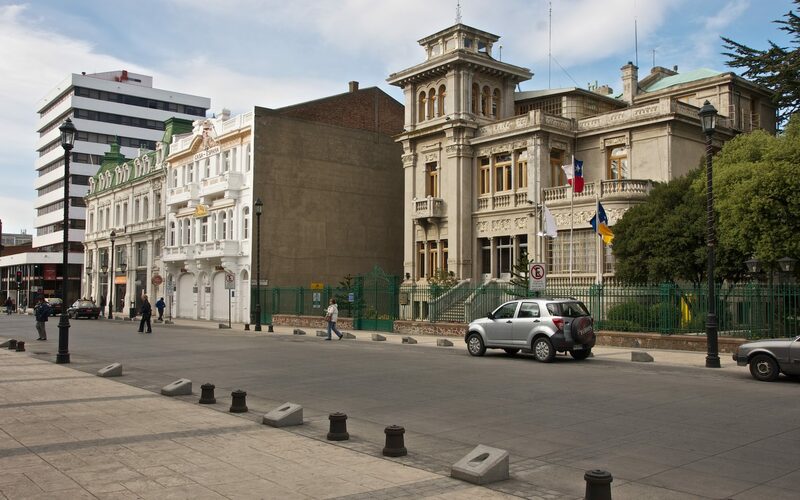 And then it was time to go – first, back to the airport and then the flight to Santiago, where I waited for a couple of hours for the Air Canada flight from Buenos Aires to stop and pick us up – yet more “snowbirds” heading back to the end of a Canadian winter. Take a look at the following posts if you want to see exactly what it is that I did over a three-week span at the so-called “end of the world”. 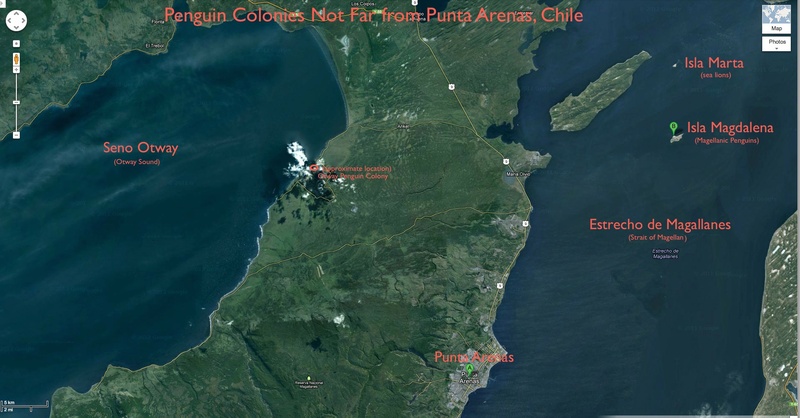 This entry was posted in hiking/trekking and tagged Braun-Menendez residence, Graf Von Spee memorial, Isla Magdalena penguins, Isla Marta sea lions, La Marmita Restaurant, Magellan statue Punta Arenas, Magellanic Penguin colony, map of penguin colonies near Punta Arenas, Municipal Cemetery Punta Arenas, Punta Arenas map, Punta Arenas things to Do, Seno Otway penguins, Tragaluz B & B. Bookmark the permalink. I checked the Google Map and I see Pantano! 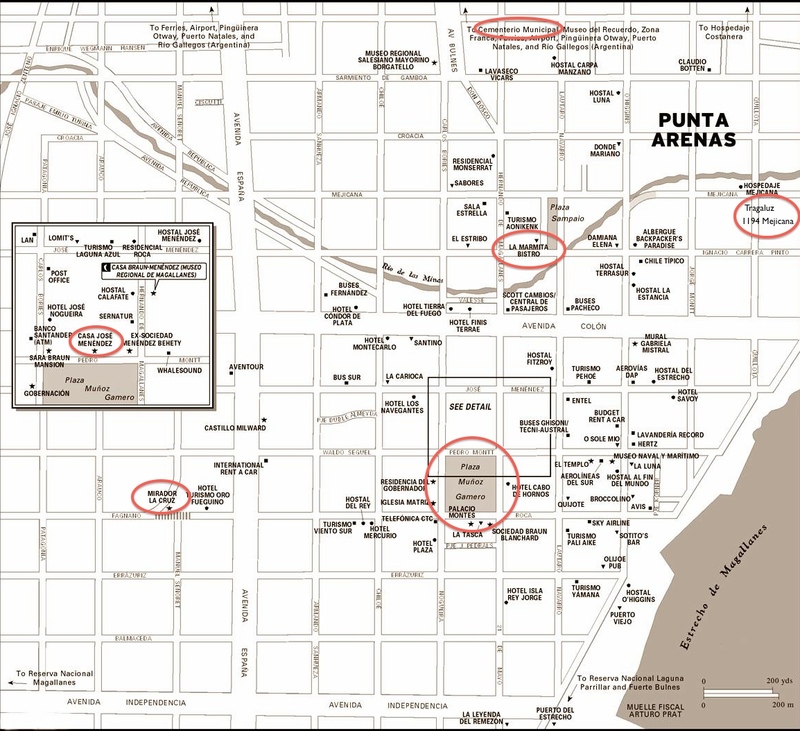 I’ll dig out my Lonely Planet guide and see if it has a map of Punta Arenas. I met some nice people in P.A. 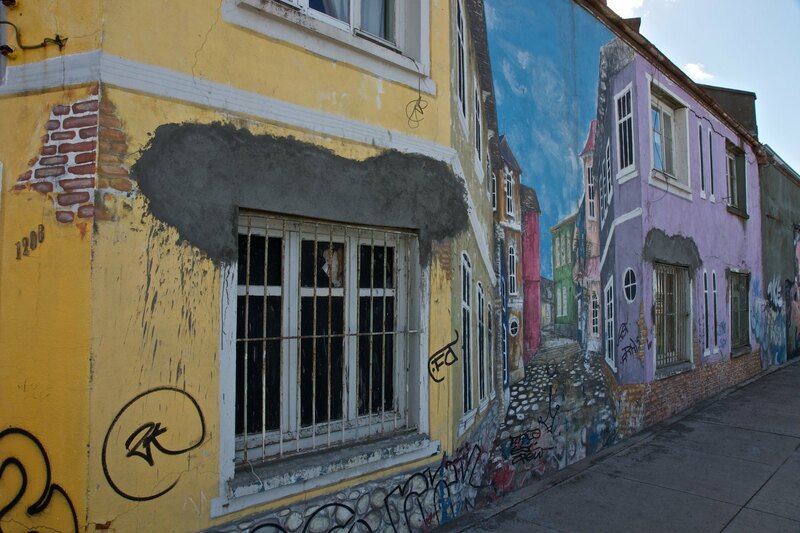 – the city doesn’t deserve the put-downs that some guidebooks dish out. P.S. The google map has Pantano but even my non-google map which is part of the post has Fagnano! I changed it. Thanks for pointing it out. 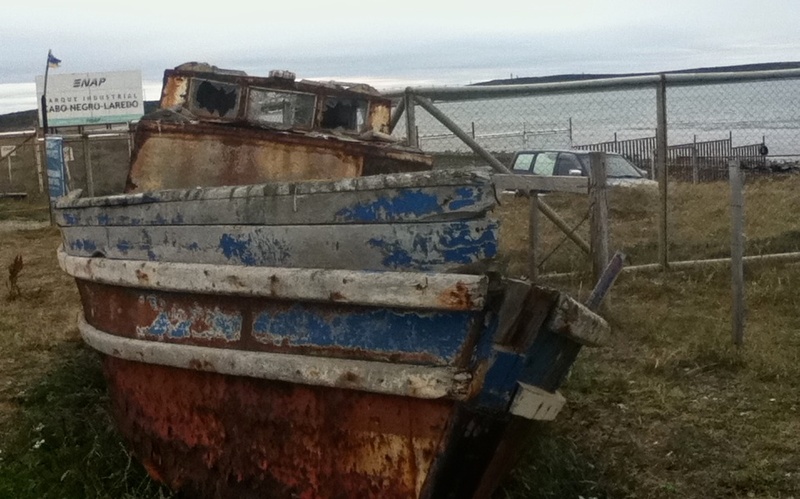 I got on your blog by chance, browsing interesting places to hike in Patagonia. Thanks for your detailed input! I come from the Northern Alps in France and therefore grew up surrounded by mountains and hiking. 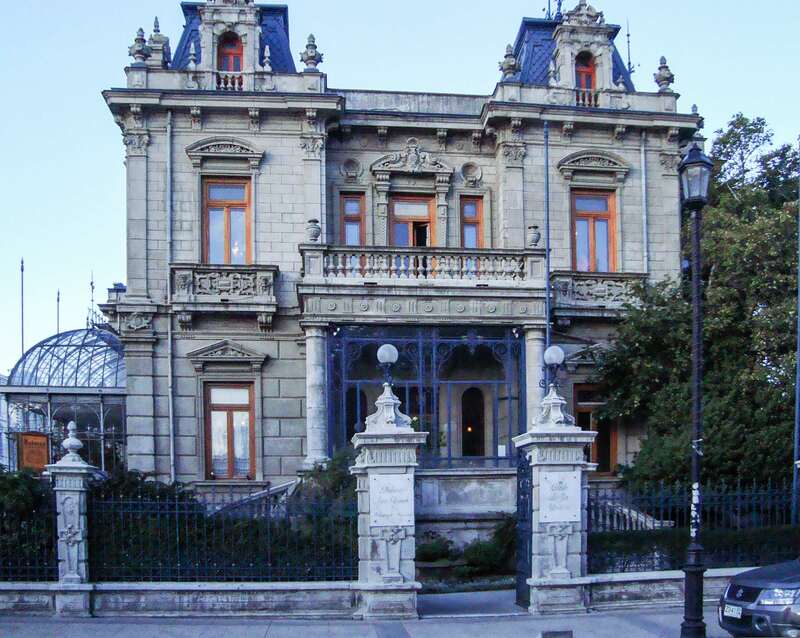 I am planing a 2-3 weeks trip to Patagonia (end of October) after a stay in BsAs for other reasons. 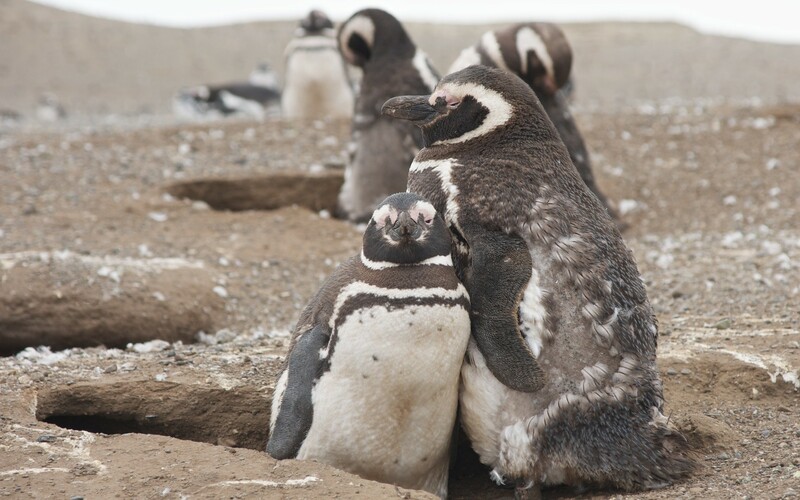 Aude, three weeks should allow you lots of time to experience Parque Nacional Los Glaciares – two days for El Calafate and the Perito Glaciar visit and then one week for El Chalten and various hikes in the shadow of Fitz Roy. Do note that the only place hikers are allowed to camp is at the northern end of the Park. 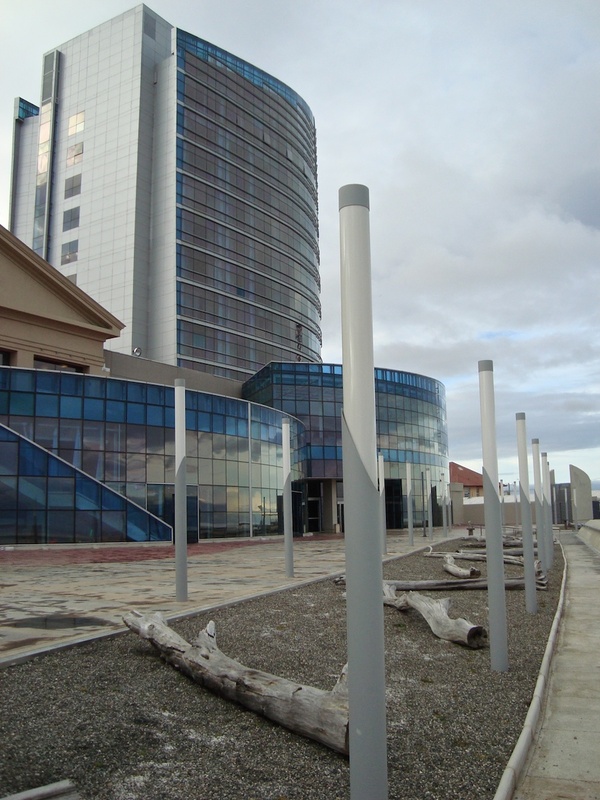 By the way, there is really not a lot to do in El Calafate. 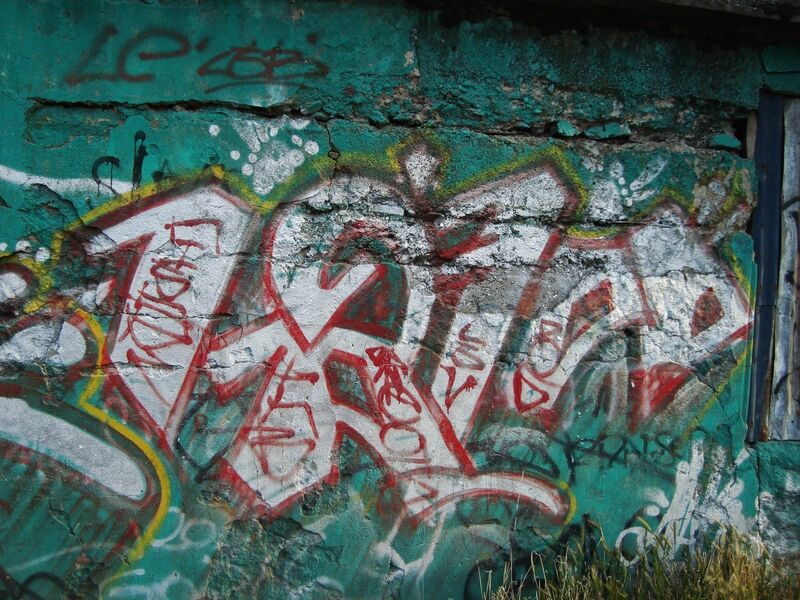 I got the impression its existence hinges on the attention it gets from politicos from B.A.- i.e. the Kirchners. 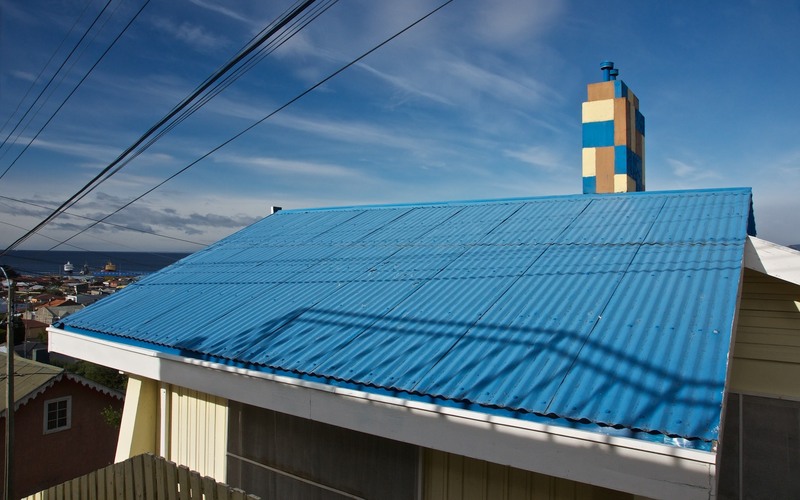 That would still leave you ten days to visit Ushuaia. Not having visited, I really cannot offer any advice. 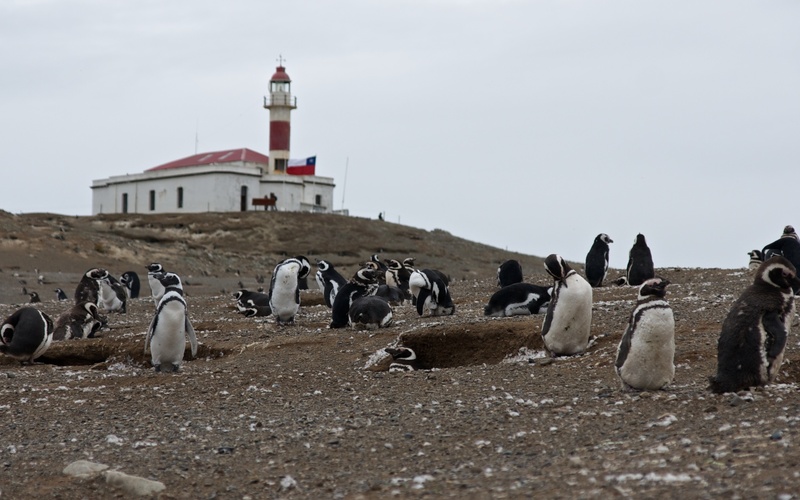 My impression from speaking to other travellers is that a better use of your time would be to skip Ushuaia and visit Torres del Paine Park instead. Your ten days would allow you to do a circuit of the TDP – or if you are less ambitious, at least the W route in four or five. Bonne chance avec votre aventure. 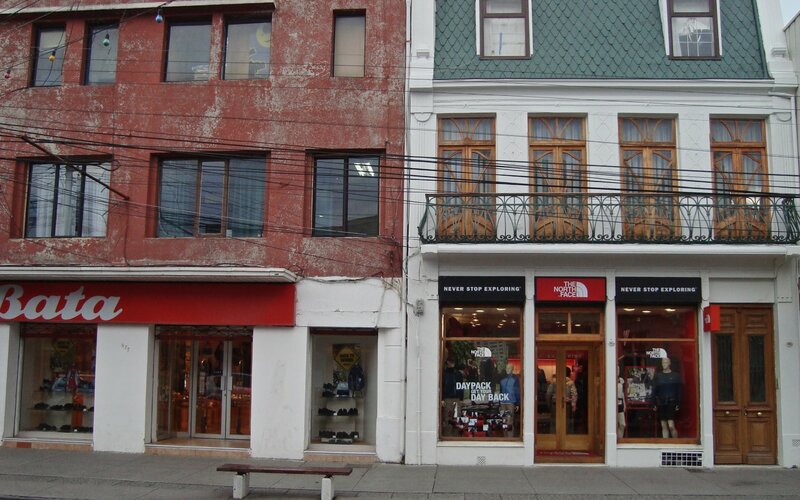 Patagonia est vraiment un pays enchanté. Jon, this will not be an issue at all. 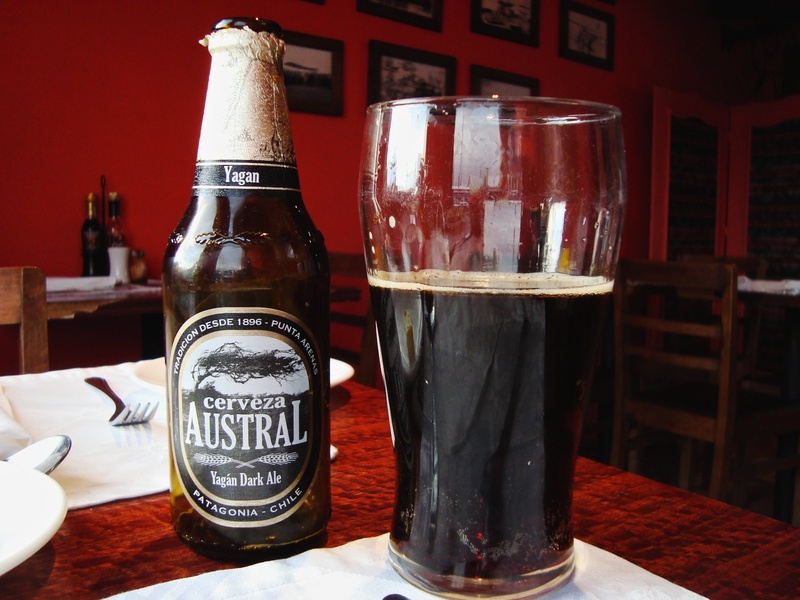 You could leave it at your hotel in Punta Arenas. 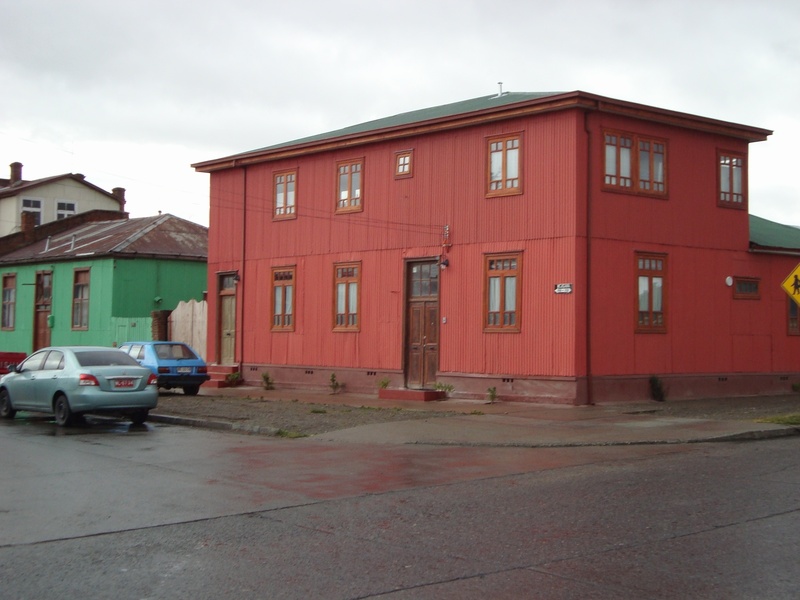 Chances are that you will bus up to Puerto Natales and leave the extra baggage at a hotel or hostal there before you set off for the park entrance. Any hotel will certainly be used to the idea of keepong stuff for their guests while they go off on a TDP walk. I left my locked duffel bag behind when I went off on my hike and gave them $5.tip on my return. 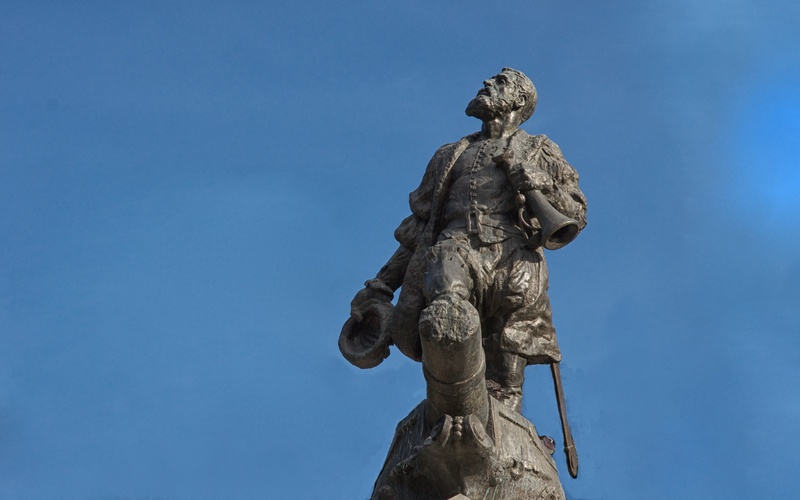 Enjoy the walk and the scenery and good luck with the weather! December is considered prime time so it should be great! Great tips! Thanks so much for sharing! 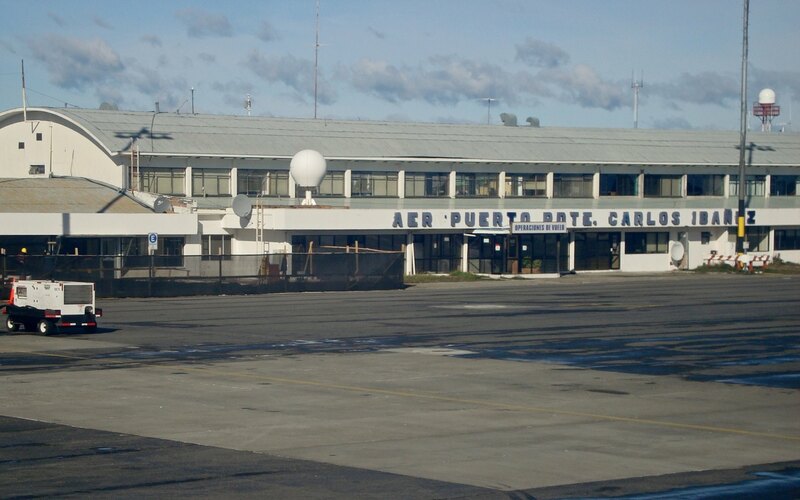 I was wondering if you had any advice on how early to arrive at the Punta Arenas airport prior to flights to Santiago? It appears the airport only handles 1-2 flights/day so we assume 90 minutes early would be enough, but should we allow for more time? 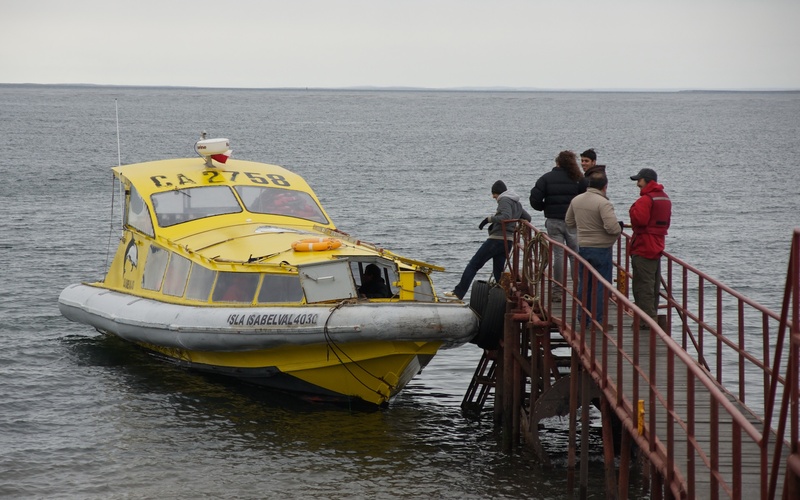 We’re hoping to go on the 7.00am Isla Magdalena boat cruise (vs. the later ferry cruise), which we’re told will arrive back in town at ~11.30am. The only flight that day (and the next!) is at 2.00pm. 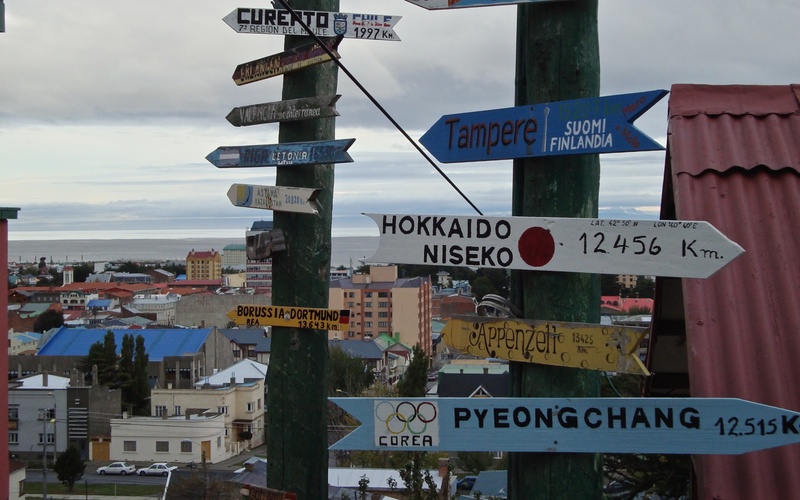 We don’t want to miss the flight, and if it’s too high risk, we’re thinking it’s better to skip the excursion to Punta Arenas and just fly from Puerto Natales since there is a new (same price!) 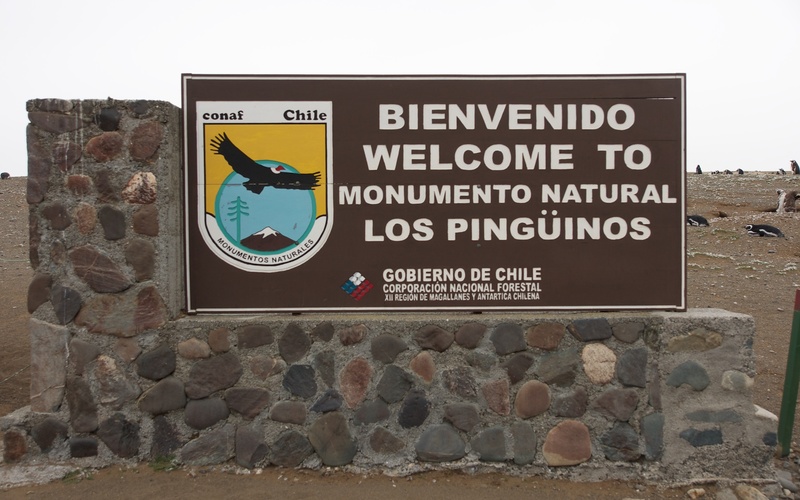 nonstop on Sky Air to Santiago at 4.00pm that day, and it would allow us to relax in PN after trekking vs. getting on a bus on Punta Arenas, getting in late, and then having an early morning seeing the penguins before a flight north. Thanks for any recommendations you have! Kate, that is cutting it kinda close! 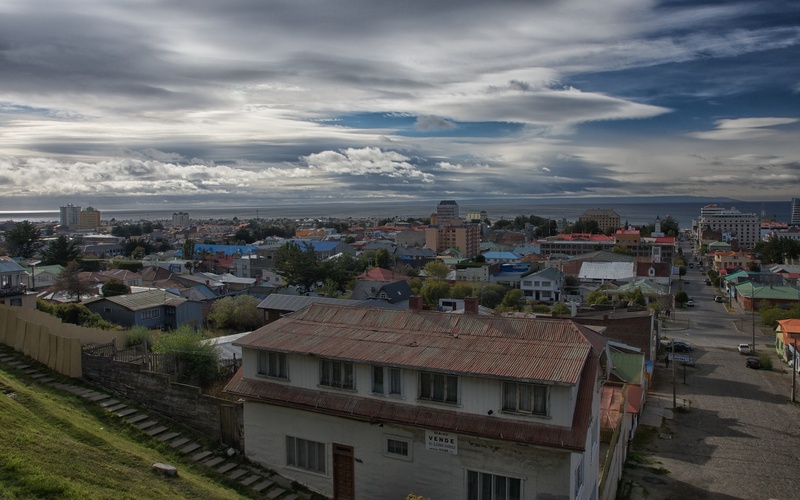 I’d reluctantly pass on the Punta Arenas visit. 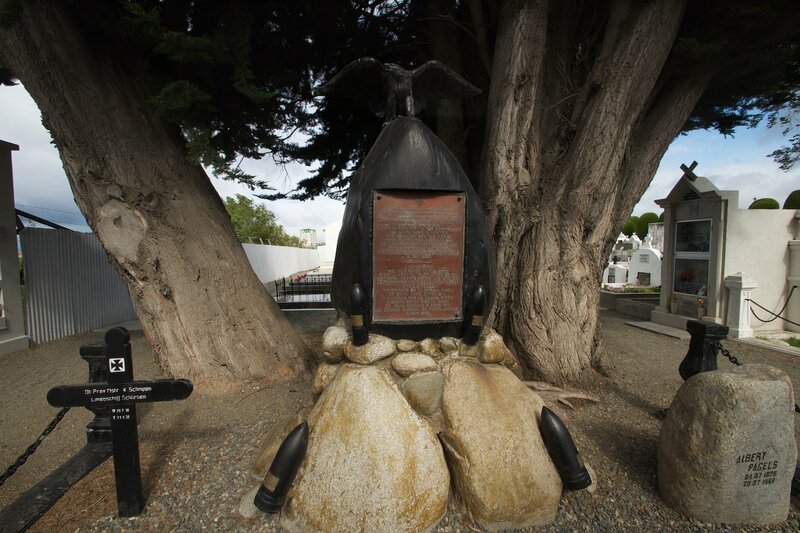 While Puerto Natales is not the city that Punta Arenas is, you could certainly stroll around and find some neat things to frame in your camera viewfinder. 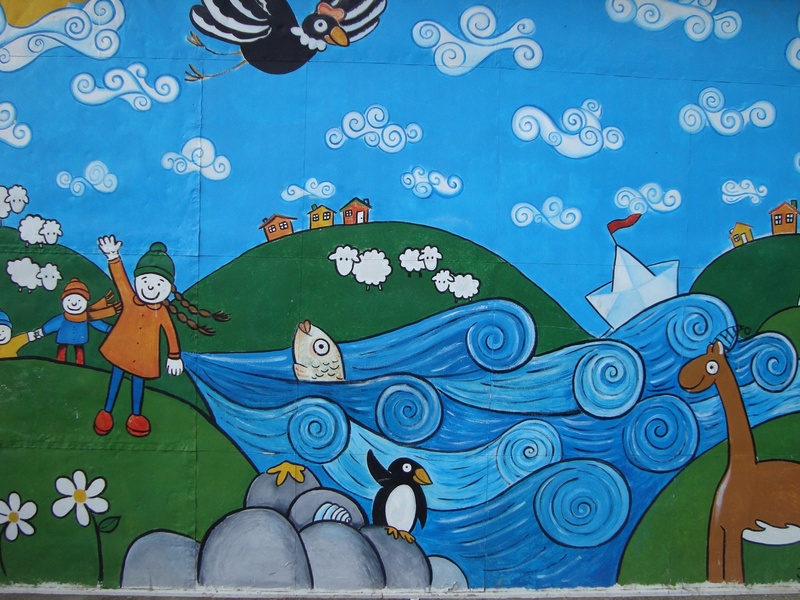 I can see your post already – “A Traveller’s Guide To Puerto Natales: Gateway to Parque Torres del Paine”! 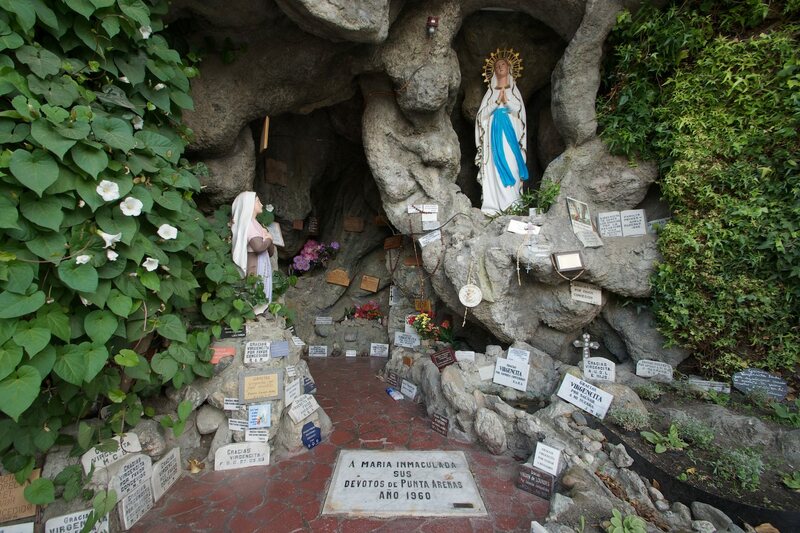 Pradeep, click on this Google Maps link for the location and particulars of the Club Croaya near Cerro de la Cruz.